SecurityStockWatch.com - In the Boardroom With...Mr. Fred Zhang, Ph.D.
SecuritySolutionsWatch.com: Thank you for joining us today, Fred. Before we drill down into Infilux, please tell us about your background and provide a brief introduction to the company? Fred Zhang: Infilux is a brand created by Infinova Corp. in 2016. Infinova was founded in 1993 and has over 20 years of experience in the video surveillance industry. Infinova's headquarters are in Monmouth Junction, New Jersey, USA, and we have business and technical support offices around the world in North America, Asia, Australia, Europe, Middle East, Latin America, and Africa. I joined Infinova in 2013, and when the Infilux brand was created, I was appointed to be the Online Business Manager, responsible for sales and marketing for the new brand. Now Infilux has an operation team, a product management team, a marketing team and a technical support team in the United States. SecuritySolutionsWatch.com: Please give us an overview of the Infilux video surveillance kit offerings. Fred Zhang: Infilux provides a 4MP(2592X1520) fixed camera IP Video Surveillance system with multiple options. We also introduced a 2MP(1920X1080) 20X PTZ camera. All cameras are IP66 Indoor/Outdoor and True IR Light Day/Night functional. We offer 4, 8, 16, and 32 Channel NVRs with remote client software compatible with Windows or Mac, as well as iOS and Android mobile apps. SecuritySolutionsWatch.com: Can you tell us more about the 4MP and IP systems? Fred Zhang: Sure. The standard resolution of a 4MP system is 2592X1520, providing better video quality compared to a 2MP(1080P) system, which is popular in the market. As those familiar with the industry would know, IP video surveillance systems have been taking away market share from analog systems in the past few years. Our IP systems provide a higher resolution and a much wider variety of functions. In addition, all Infilux cameras are POE (Power over Ethernet), meaning that only an Ethernet cable is needed to connect to the camera. A power cord is no longer required, thus simplifying the installation process for installers. SecuritySolutionsWatch.com: What advantages does your product offer over similar products in the market. Fred Zhang: Quite simply, we provide high-quality video surveillance products at a reasonable lower price. For example, we abandon the fancy box designs. We also realized that the Ethernet cables that come with some DIY kits on the market is not even used because many installers would prefer to make cables of the right length themselves. Thus, we do not include Ethernet cables with our kits. With these and other initiatives, we have lowered costs and passed these savings on to the customer without sacrificing quality. By focusing on what really matters, we are able to provide solid products to customers at a great price. SecuritySolutionsWatch.com: Are the Infilux products held in the United States? Fred Zhang: Yes. Our warehouse is located in New Jersey, and all orders are shipped from New Jersey to the customers directly. Our standard shipping method is Fedex Ground. We also have technical & customer support teams in New Jersey available M-F, 8:30 pm-5:30 pm Eastern Time. SecuritySolutionsWatch.com: Could you give us an overview of Infilux’s current customers? Fred Zhang: Most of our 4 channel & 8 channel kits are sold to home owners and retailer store owners. Local installers form the bulk of our customer base for the 16 and 32 channel kits, though some opt for our 8 channel kits as well. We are the main solutions provider to a few local installers in New Jersey and Texas. SecuritySolutionsWatch.com: Thank you again for joining us today, Fred. Are there any other subjects you would like to discuss? 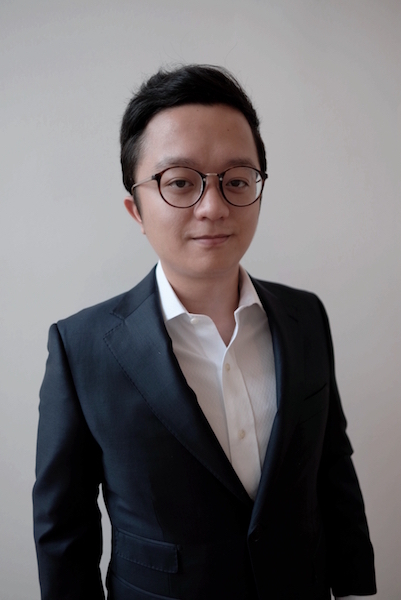 Fred Zhang : Our products can be purchased on Newegg, Amazon, eBay, or our own Shopify store: https://infilux.myshopify.com/ . Customers can also call our customer support at 732-228-6385 to place orders on the phone. We are also looking forward to building new relationships with local installers. Please contact us if you would like to become a distributor or a certified installer, or if you have any further questions. Thank you!